Contributions to donor-advised funds (DAFs) are a fast-growing philanthropic tool. Recent analyses express concerns about the impact of DAFs on nonprofits, particularly those held by commercial firms like Schwab and Fidelity. 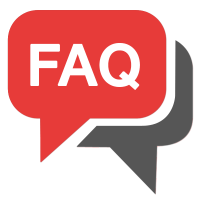 To help our community and policymakers understand DAFs and their policy implications, we developed these Frequently Asked Questions (FAQs) about donor-advised funds. We hope they will contribute to the discussion in the nonprofit and philanthropic communities. Click here to learn more about a California bill related to donor-advised funds recently introduced by Assemblymember Buffy Wicks and co-sponsored by CalNonprofits, NextGen California, and philanthropist Kat Taylor. How are DAFs useful to nonprofits? What are some public policy concerns about Donor-Advised Funds? What policy changes are recommended? How many DAFs are there and how much do they hold? DAFs often provide donors with some of the advantages of family foundations, such as accounting and financial advisory services, with lower administrative costs than a family foundation. Also, DAFs can facilitate long-term charitable giving for donors with relatively smaller amounts of personal wealth but who want to take advantage of an immediate tax deduction. In some cases, DAFs can facilitate the gifting of non-cash assets (for example stocks or cryptocurrency) to charities that may not have the capacity to accept those donations. There can be a long gap between when a donor obtains a tax deduction for a DAF donation and when some or all of the funds leave the DAF for a nonprofit. DAFs are not required to disburse funds over any period of time, unlike family foundations which must annually disburse at least 5% of their assets. This means that DAF contributions provide immediate tax relief for their donor although these contributions may never result in grants to charities. The result is that the cost to the public good -- fewer tax dollars received -- can be years apart from the public benefit of funds going to an active nonprofit. This aspect is compounded in some cases with manipulative donations of non-cash assets, resulting in a much larger tax deduction than the amount that becomes available for distribution to charities. This mismatch between the public cost and the public good can result in billions of dollars being stored in DAFs while the public reaps no benefits from the tax deduction. There are reports that some private foundations put money into DAFs in order to evade their annual 5% disbursement requirements, allowing those foundations to circumvent the purpose of getting foundation assets into the hands of active charities, or to disguise a nonprofit that would otherwise not meet the public support test. Many DAF sponsors have only nominal safeguards to keep donors from using DAF funds for the benefit of themselves, their families or their businesses. Funds held in DAF accounts can be directed by the donor to be invested in ways that benefit the donor, or, unknown to the donor, may be invested in industries and economic sectors that are misaligned with, or that directly undermine, the donor’s charitable intentions. For example, a donor who supports rainforest preservation may not realize their funds are invested by their DAF sponsor in companies engaged in clear-cutting rainforests. Because DAF assets and distributions are reported only in aggregate (one report per DAF sponsor -- which can encompass hundreds of thousands of DAFs) and because they can give anonymously, DAFs have become attractive vehicles for invisibly funneling dark money -- with a tax deduction -- to overtly political campaigns. The fees that sponsoring organizations charge for managing DAF accounts may or may not be reasonable and could be eroding the amounts intended by donors for charitable giving. A spend-out requirement of several years could be imposed on individual DAF accounts. Alternatively, donors could be required to wait to claim some or all of the tax deduction until assets placed in DAFs have disbursed to charities that produce public benefits. Policies could be developed to distinguish between the tax benefits offered for cash donations and those provided for donations of non-cash appreciated assets, and whether transfers to DAFs can be used to meet a foundation’s 5% annual distribution obligations. DAF sponsors could be required to have more stringent guidelines to prevent self-dealing through DAFs. DAF sponsors could be incentivized or required to adopt investment policies that channel DAF assets into socially-responsible program-related investments. DAF sponsors could be required to meet more robust annual reporting requirements that provide information about DAF contributions and grants at an individual account level and shed light on the sponsor organization’s management policies, including their fee structures. A 2018 report from the National Philanthropic Trust found that in 2017, 1,002 sponsoring organizations managed 463,622 individual DAF accounts with more than $110B in charitable assets. These DAFs received $29.2B in annual contributions and disbursed more than $19B in 2017, meaning DAFs received roughly 10% of all individual charitable contributions that year. The number of DAFs have increased in recent years with the total number of DAF accounts more than doubling since 2013, rising from 218,613 to 463,622 in 2017. Over that same period, the total assets controlled by DAFs rose from $57B to $110B; annual contributions to DAFs jumped from $17.2B to $29.2B, and annual disbursements paid by DAFs grew from $9.8B to $19B. In the 1930s, community foundations were the first charities to establish DAFs, and currently, hundreds of community foundations throughout the country are DAF sponsors. Single-purpose charitable organizations, including universities, religious charities, and issue-specific charities, also sponsor DAFs. Starting in the 1990s, many large national for-profit corporations, including Wall Street firms like Fidelity, Vanguard, and Schwab, created affiliated 501(c)(3) organizations to sponsor DAFs. Many of these commercially-affiliated DAFs are now among the largest charitable organizations in the country. For example, Fidelity Donor-Advised Charitable Fund, affiliated with Fidelity Investments, has recently grown to become the single largest recipient of individual donations and, as a result, is considered the largest charitable entity in the nation. Interest and questions about DAF's have been raised at two of our Fundraising Academies recently, in Pleasant Hill and in San Jose. The Sanford Institute of Philanthropy would welcome an opportunity to host a learning session on DAF's in partnership with CalNonprofits. Let me know. Thanks.